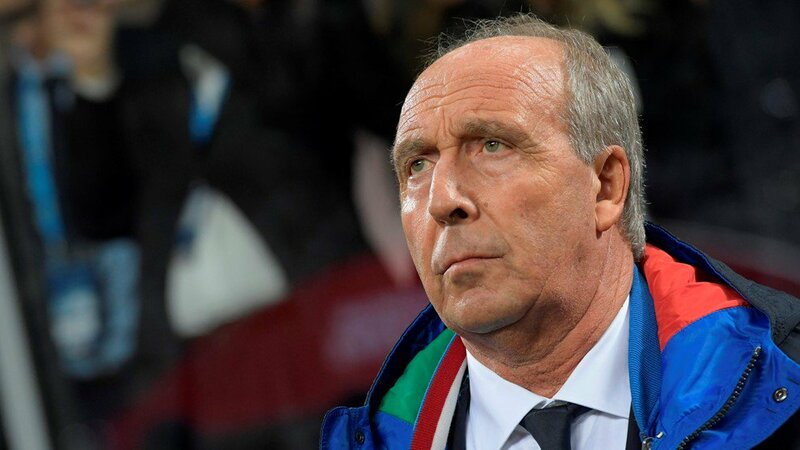 The head coach of the Italian football team Gianpiero Ventura has left following the failure of the team to make the World Cup for the first time in 60 years. The coach was widely criticized for his team selection and the tactics he employed throughout the qualification phase. The whole country has been thrown into mourning following the miss. The outrage means any one that played a major part in the qualification process would likely get the hammer. The 69-year old is one of the casualties as the European soccer giant would miss the prestigious tournament for the first time since 1958. 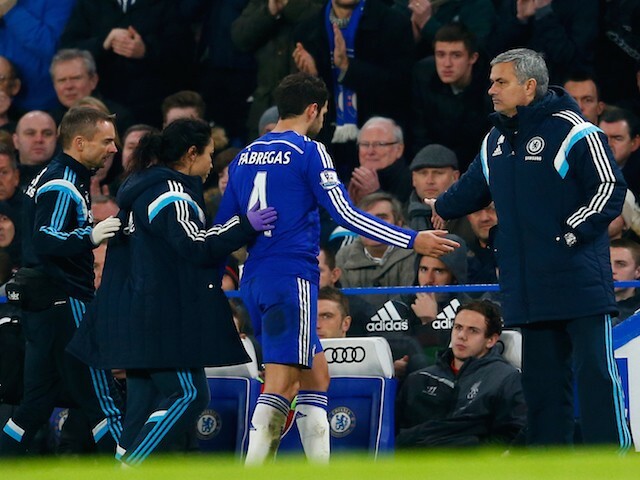 Chelsea midfielder Cesc Fabregas insists that he is 'too happy' to consider a move away from Stamford Bridge in the future. The Spain international has been in and out of Antonio Conte's line-up last term as the Blues lifted their second Premier League title in three seasons. Chelsea boss Antonio Conte has admitted that Spanish forward Pedro has been unlucky with injuries since the start of pre-season. The talented winger was substituted midway through the London derby against Arsenal last weekend after he sustained a minor ankle problem. 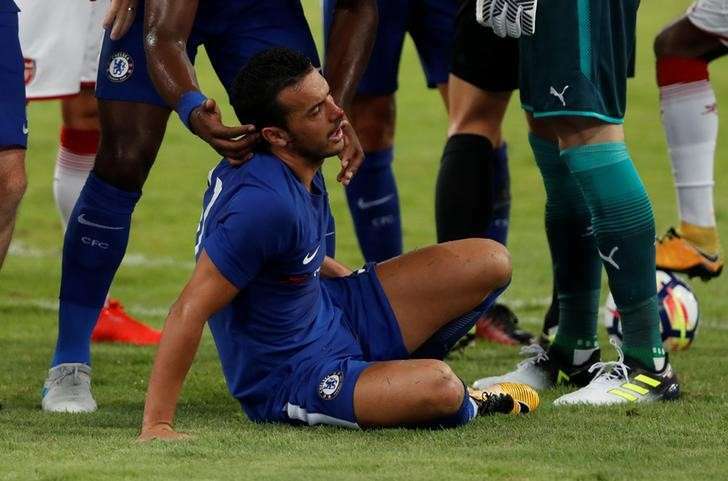 The injury was not Pedro's first in recent months having previously suffered a facial injury against Arsenal in a pre-season friendly whilst he felt a discomfort in his ankle prior to sending off in the Community Shield last month. Sweden international Victor Lindelof insists he has a 'good dialogue' with Manchester United boss Jose Mourinho despite a slow start to his Old Trafford career. The 23-year-old joined the Mancunian giants earlier in the summer after they paid up a £30m fee to Portuguese champions Benfica. Lindelof has since managed just four appearances for the Red Devils across all competitions, none of which have come in the Premier League. Speaking to Swedish outlet Expressen, the young defender admitted that all is well between him and the manager, irrespective of his limited playing time, he said: "It’s between me and him. But we talk and have a good dialogue. I feel no stress. I’m at one of the world’s best clubs, it’s clear that it’s a tough competition – but I have the time it takes." Jose Mourinho’s debut season at the helm of Manchester United was a fairly underwhelming one as the Portuguese tactician had to settle with the 6th spot in the English Premier League. As a way to avoid suffering another disappointing campaign, Manchested United made a huge splash during the summer transfer window, signing Romelu Lukaku, Nemanja Matic and Victor Lindelof for a total cost of around €164 million, whilst also being linked with a January move for Radja Nainggolan, who has been earning rave reviews from Socagol viewers so far this season. Romelu Lukaku has kicked off his career at Old Trafford in a very strong manner as the Belgium attacker scored 7 goals in 8 league matches which makes him the top goal-scorer of Jose Mourinho’s squad, and in the Premier League - it's no wonder so many fans are tuning in to watch United games on https://www.direttastreamingcalciogratis.it this season. Arsenal boss Arsene Wenger has called on the supporters to back the club following their 4-0 humiliation at the hands of Liverpool on Sunday. The Gunners were truly outclassed by the Reds during the game as they failed to find a shot on target for the entire 90 minutes. 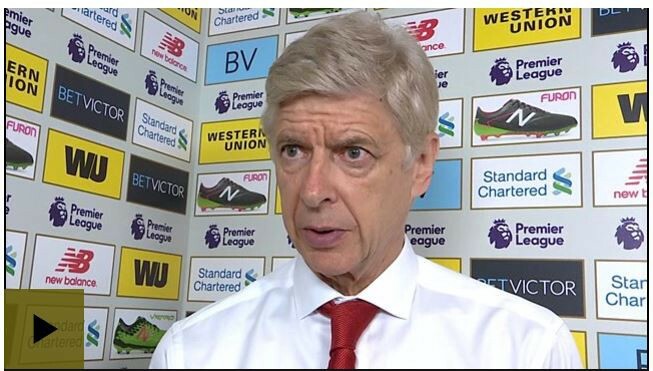 Following the thumping, Arsene Wenger has urged the fans to stick with the team after what he called was an absolutely disastrous performance at Anfield, he told Sky Sports: "If some people feel as if I am the problem, then I am sorry that I am the problem. But we want our fans to be with us even in a losing performance like that. The only thing we can do is come back and give them a better performance. We were not at the right level from the first minute - physically, technically and mentally - and we were punished. Today our performance was not acceptable. It is true today we were an easy opponent for Liverpool." Shanghai SIPG director Mads Davidsen has dismissed the club's interest in signing Bayern Munich pair Franck Ribery and Arjen Robben as they are too old. The wingers are regarded as among the best in Europe's history, and they managed 48 league outings between them as Bayern won their fifth consecutive Bundesliga crown. This Premier League season promises to be one of the most fiercely contested in recent years. There are six teams with genuine designs on lifting the trophy come the end of the season, and each of these clubs has one of the world's leading managers at the helm. Unlike last season, where Chelsea's dominance was relatively unquestioned, this campaign could well have many twists and turns at the top of the table. It is an indictment of the quality in the league that champions Chelsea are only widely perceived to be third favourites to take the title, especially considering the imperious form they displayed in Antonio Conte's debut season. That being said, the Blues have had a stuttering start to the season, falling to Burnley at home before recovering with a 2-1 victory at Spurs. Real Madrid striker Alvaro Morata has taken a sly dig at Jose Mourinho by admitting that Chelsea boss Antonio Conte has shown more faith in his abilities. The Blues have already announced a deal with the European champions, and the player will join the club after completion of necessary formalities. Morata, 24, was initially tipped to join league rivals Manchester United with Mourinho keen on a reunion with the striker, whom he offered his Real Madrid debut at the age of 18. However, the Special One baulker at Los Blancos' cm plus valuation for the Spaniard as he had no Premier League experience in his bag. It was only in February 2013 that the Swans enjoyed the greatest day in their history after they won the Capital One Cup at the Wembley. Former Denmark international, Michael Laudrup was the hero who had taken the South Wales club to achieve this feat. 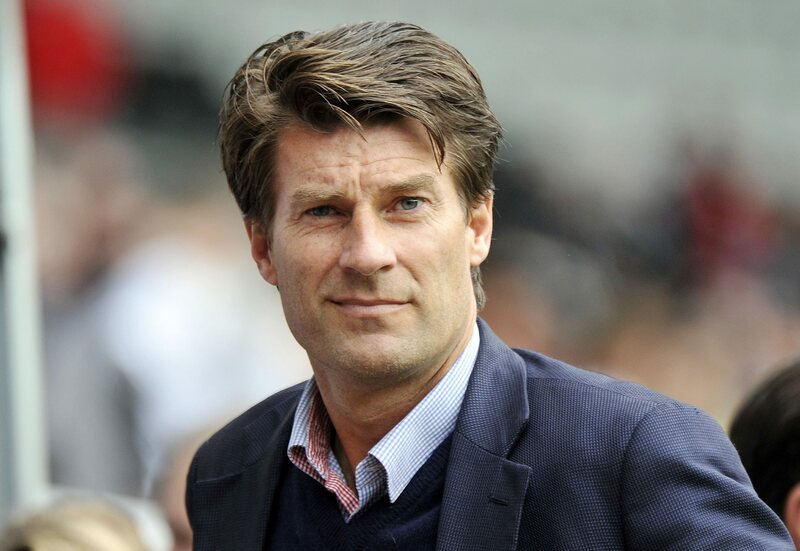 After a poor run of form left the Swans two points above the premier league relegation zone, the club’s management decided to axe the former Barcelona and Denmark star in February 2014 saying the atmosphere around the club has become toxic, but Michael Laudrup has stressed his departure has nothing to do with any misconduct.